A Breakdown of the Different Styles of Unistrut Beam Clamps | Unistrut Service Co. When it comes to securing channel to existing structural steel, Unistrut beam clamps are an easy, cost-effective solution. Beam clamps provide you with a simple beam-to-strut connection solution that doesn’t require welding or drilling. Unistrut beam clamps come in a variety of styles to accommodate a range of beam styles, sizes, applications, and attachment preferences. This variety also means there are several different styles of beam clamps that can affect how channel is attached and the total load that can be secured to the beam. 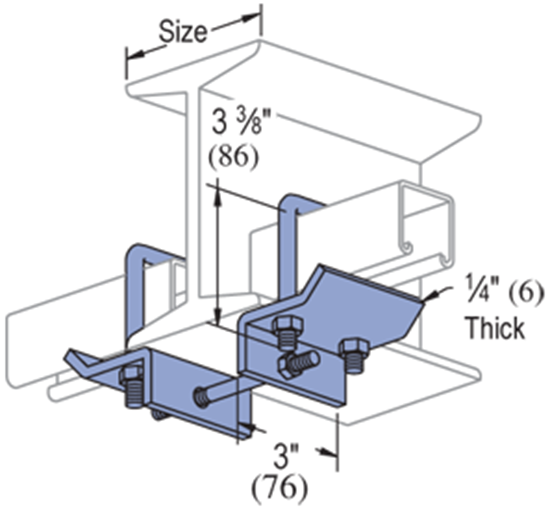 Here are some of the more common styles of beam clamps offered by Unistrut Service Company. Unistrut flange beam clamps, also known as Unistrut C style beam clamps, are named for their distinctive shape. Flange beam clamps are designed to secure channel to beams by clamping down on the flanges of a beam with a set screw. Depending on the design of the flange beam clamp, the channel is either sandwiched between the flange and the clamp or attached to the clamp with a threaded rod. 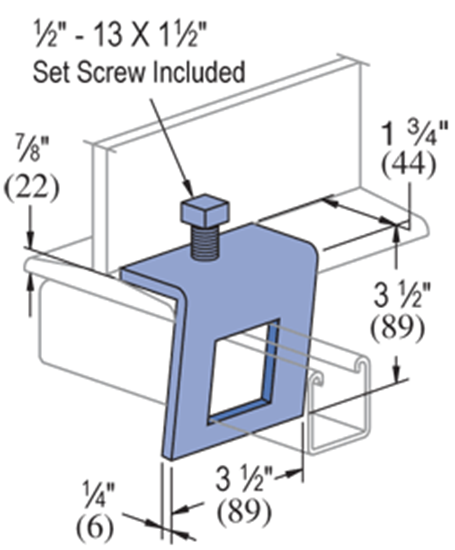 Unistrut window style beam clamps secure channel to existing beams using a “window” cut out of a bent plate and a set screw. A pair of window style beam clamps are placed on both sides of a beam and a channel is fed through the windows. 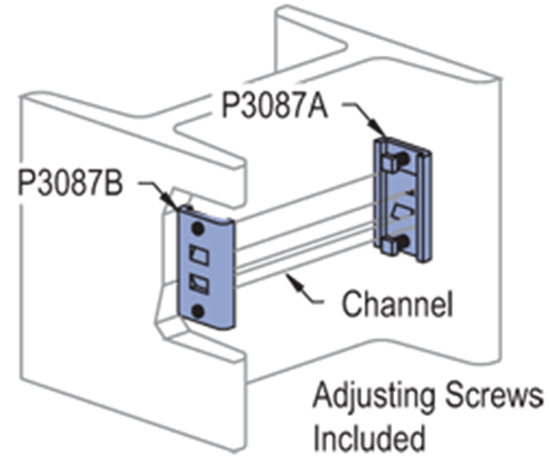 Once in place, the window style beam clamp is secured to the beam with the set screw, which also holds the channel in place. 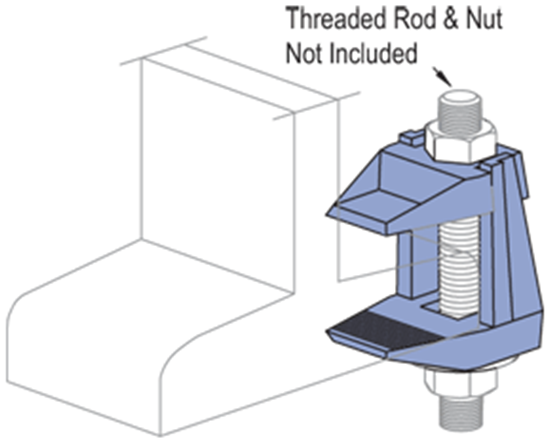 Unistrut U style beam clamps feature a piece of bent plate and a u-bolt that is threaded on both sides to secure channel in place. 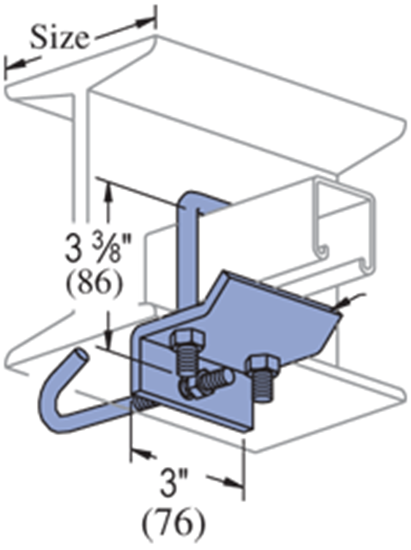 The channel is fed through the u-bolt, which is then tightened to secure both the plate to the beam and the channel to the plate. U style beam clamps can be used to secure channel to either the underside of the beam or the inside of the beam, depending on the configuration of the clamp. 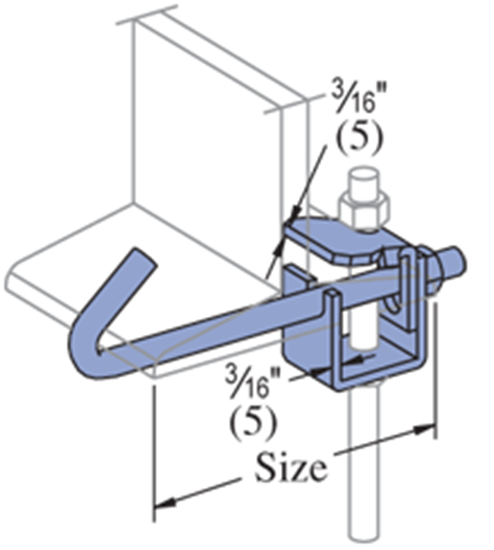 Unistrut J style beam clamps feature a hook shaped like a “J” to help them secure channel to existing beams. While other beam clamp styles are designed to use in pairs to secure both sides of a beam, J style beam clamps are designed for use as a stand-alone clamp (unless indicated otherwise). This is possible as the hook secures the j style beam clamp to the opposite side of the beam. 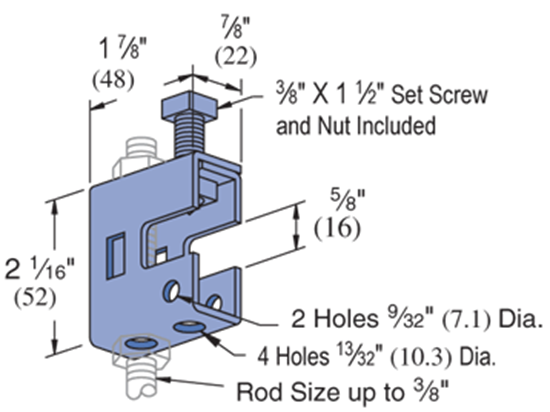 Unistrut column inserts are used to secure channel between the flanges of a beam. The column inserts are attached to the interior walls of the flanges with set screws, securing the channel between them for use. There are many ways to connect strut to beams, but it’s important to find the right option for your suspension needs. 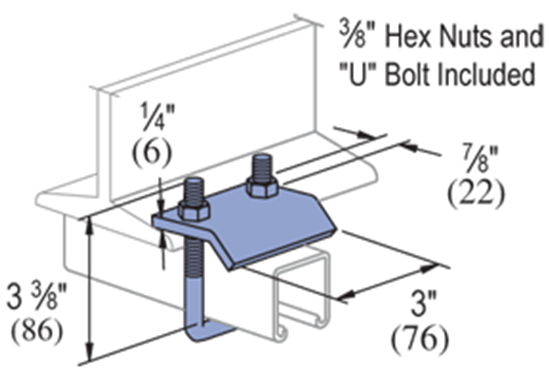 Connection style, load capabilities, and minimum safety factors are all important aspects that play into which beam clamps are best way to attach for your channel to existing structures. Be sure to consult the engineering catalog to determine load capacity of the clamp you are contemplating using for your project. Unistrut Service Company can supply you with the right beam clamps for your suspension project. You can download the Unistrut Beam Clamp Catalog for details on each product and order Unistrut beam clamps online through our website. If you need some assistance determining which clamps are right for your situation, you can contact Unistrut to talk to one of our experts about the needs of your project.